From September 2017 holidays will not be authorised by St Joseph`s Catholic Primary School, if you do take your child out of school you may receive a penalty notice. Any questions regarding holidays please contact school. Children should attend school at least 96% of the time. At St Joseph’s Catholic Primary School, we know that bringing your child to school every day on time is the most important thing you can do to improve your child’s education. It is parents’ and carers’ legal responsibilities to ensure that they bring their children to school on time, every day that is possible. It is St Joseph’s Catholic Primary School’s responsibility to provide high quality teaching and learning opportunities for children to access each day. Therefore when a child has 100% attendance they access all learning opportunities and can reach their full potential. Allow each child to reach their full academic potential through attending school every day and on time. Reach the school target of 96% attendance for all children, apart from those with diagnosed medical conditions which prevent them from attending school every day. 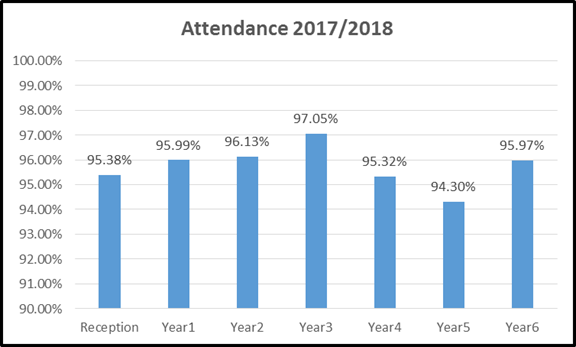 Monitor attendance to highlight any families that may need extra support. Support all children and families to have good attendance and punctuality where needed. Raise awareness of families with concerning attendance. Involve other agencies that may be needed to support families with poor attendance for example Knowsley School Attendance Service or Knowsley Social Care. Create a positive and friendly atmosphere that encourages all children and families to attend school every day. Speaking to families and children who have concerning attendance or punctuality through texts, phone calls and home visits on days of absence. We will also arrange meetings for families who have consistently poor attendance or punctuality. 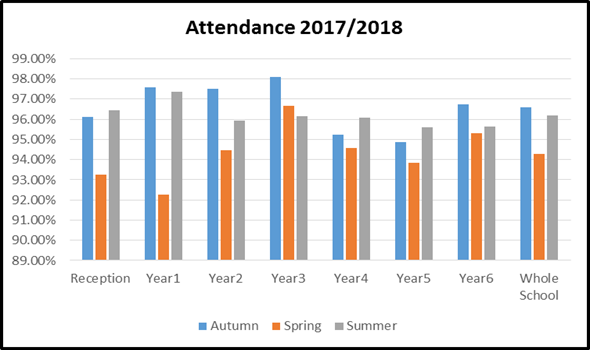 Spreading awareness of the impact of poor attendance can have on children’s academic ability as well as their wellbeing. Supporting local authority initiatives such as the attendance medals and awards. Ensuring parents understand their legal responsibility to bring their children to school on time each day. Rewarding good and outstanding attendance.